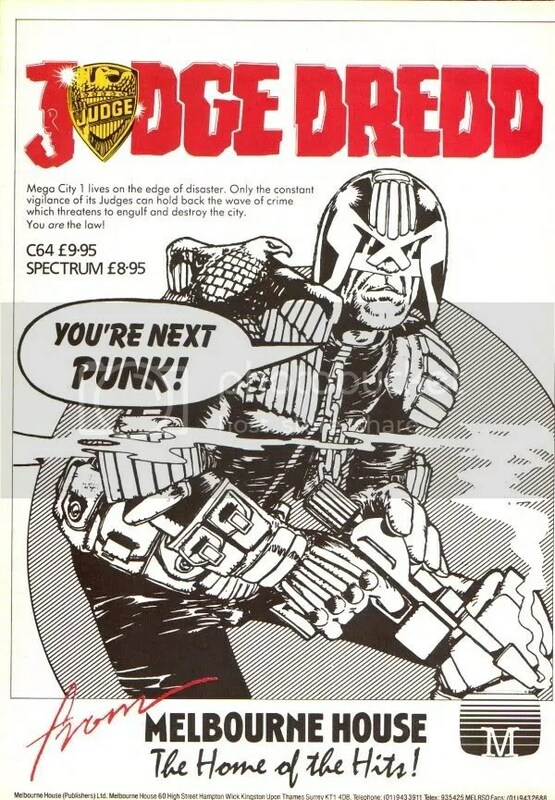 If Judge Dredd had an Aunt Flo, the results would be…. 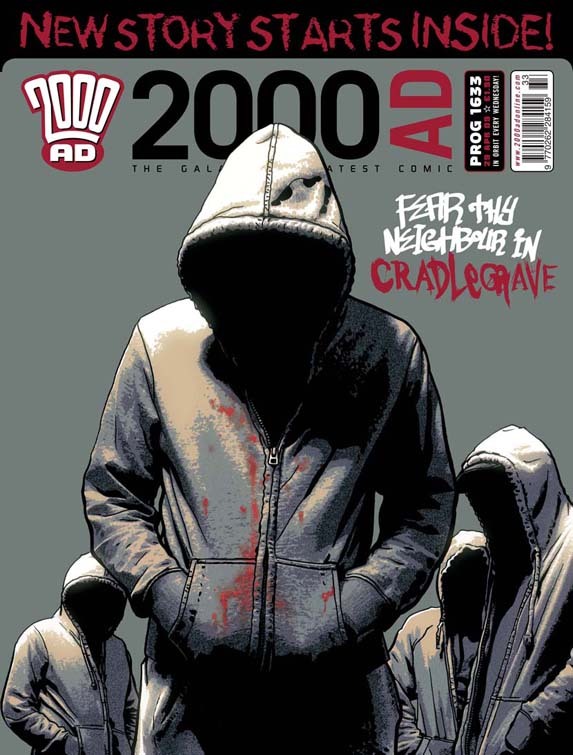 I think it was the cover (above) of prog 1633 that did it for me. 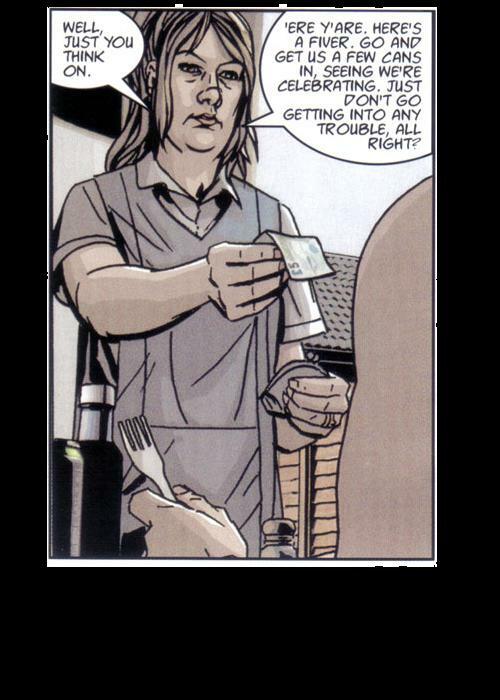 That got my attention, and what followed from that was TWLB reacquainting itself with that fine institution 2000AD. A joy it is too. 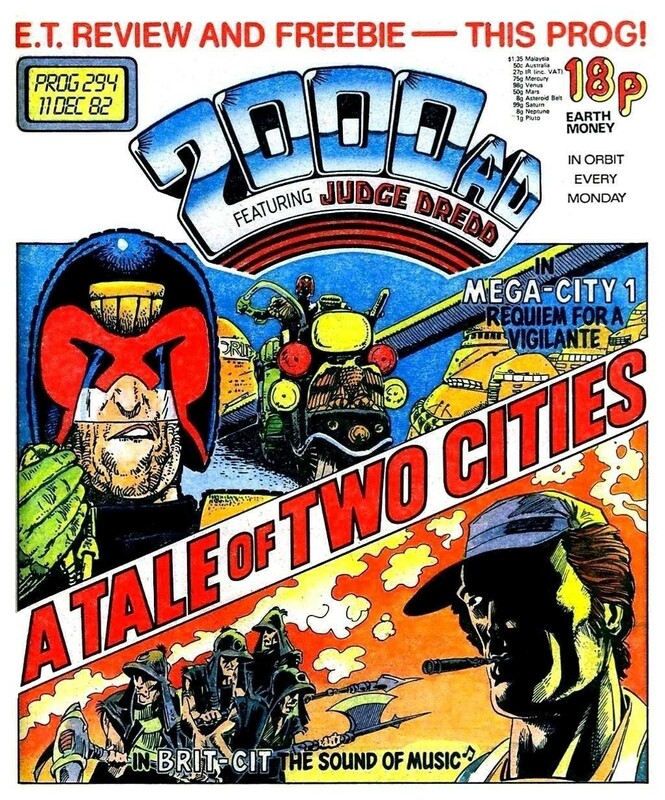 I gave up on the comic in 1989, when other things became more important, because 2000AD had just got a lot less interesting. 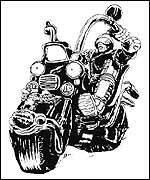 As I recall, Zenith was about the only thing keeping me interested, with Dredd and Strontium Dog leaving me cold (the latter due to the fact Carlos Ezquerra had been replaced by Simon Harrison on art). Also, Deadline and Crisis were titles catering more to my needs. 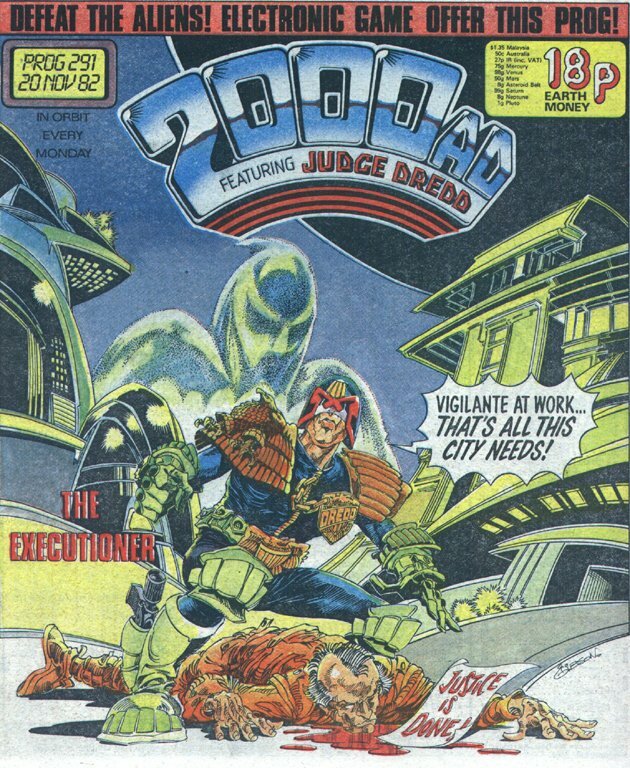 So, after 8 years of reading and collecting 2000AD I canceled my subscription at Deer Park newsagents. 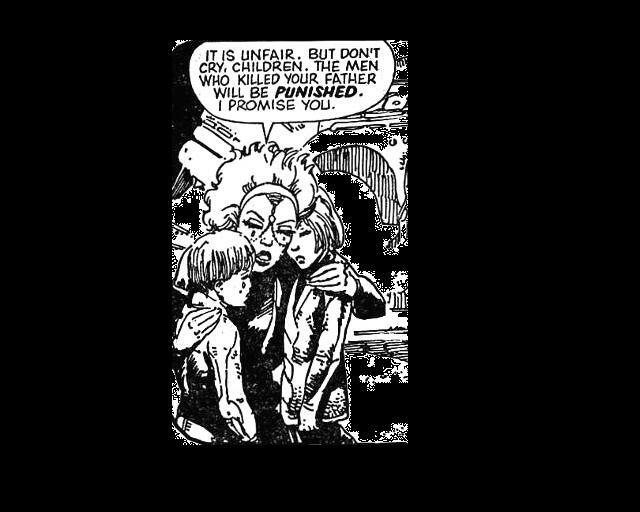 Cradlegrave is a comic strip. 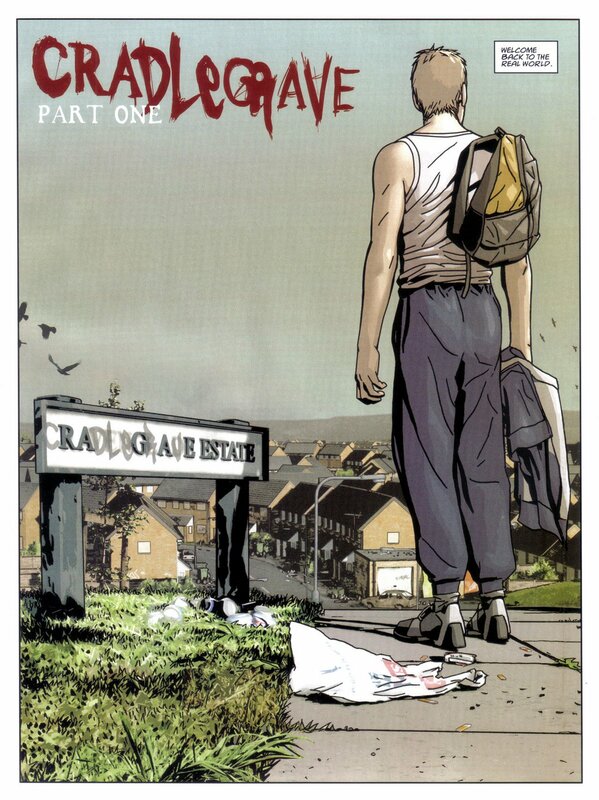 For the first 2 issues you would not see anything fantastical or horrific, other than the horror that can be other peoples lives, as Cradlegrave is set in the Ravenglade Estate (nicknamed “Cradlegrave” after the ‘ravenglade’ sign loses a few of the letters and an enterprising soul renames the estate). The detail that goes into all this is superb (and the devil is in the details) – like Shanes mom, whose idea of a celebration of his homecoming consists of a few ‘tins’ of lager and a night in front of the television. or the relative drama of Shanes dog imminently giving birth to pups, or Shanes attempts to keep his best mate, Callum, onside, but at the same time at arms length. Only slowly does information leak through about why Shane was in prison – for arson – and then at the end of the third installment, we get the first jolt, the first shocking moment. To say more would ruin it and I will say no more, but like the rest of these initial installments it is handled with superior skill – the writing of John Smith and the art of Edward Bagwell combine to give you a fully realized kitchen sink drama of a ‘rough’ estate in England with the blurry unease of terror creeping in from the edges. 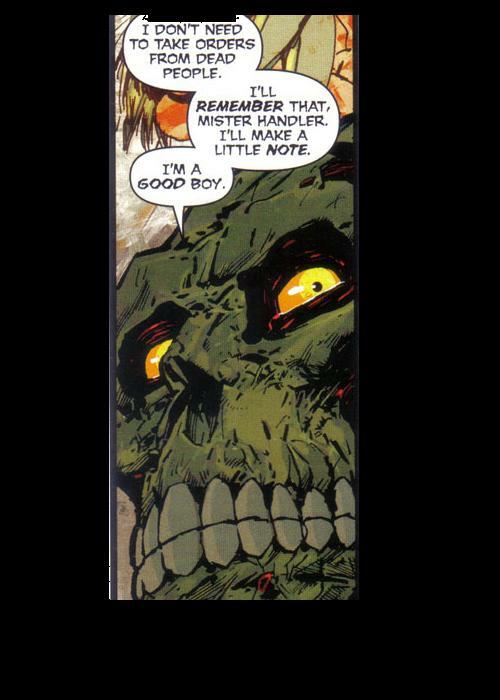 It is nothing less than superb, and I believe will rank amongst the best stories that 2000AD has ever hosted. 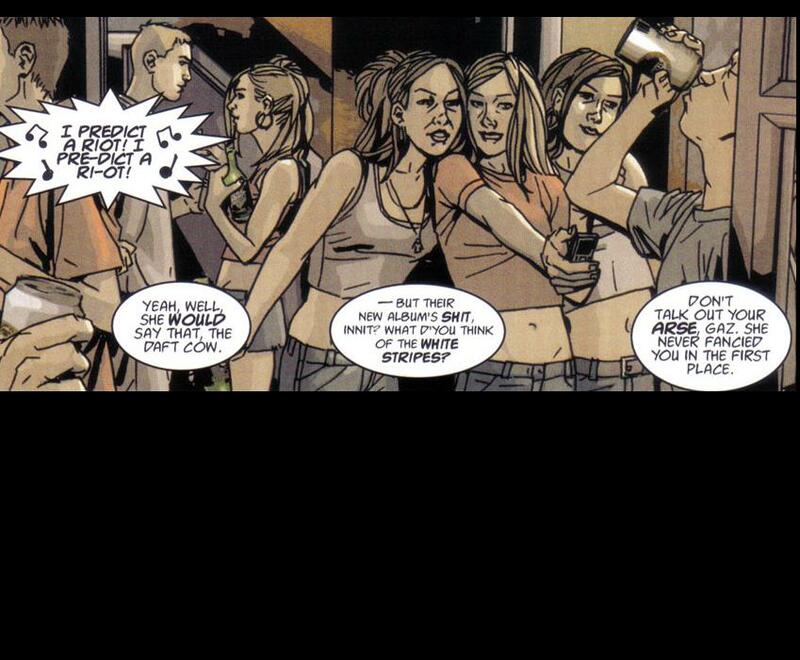 gore and throwaway lines about clone love that give the story real depth. 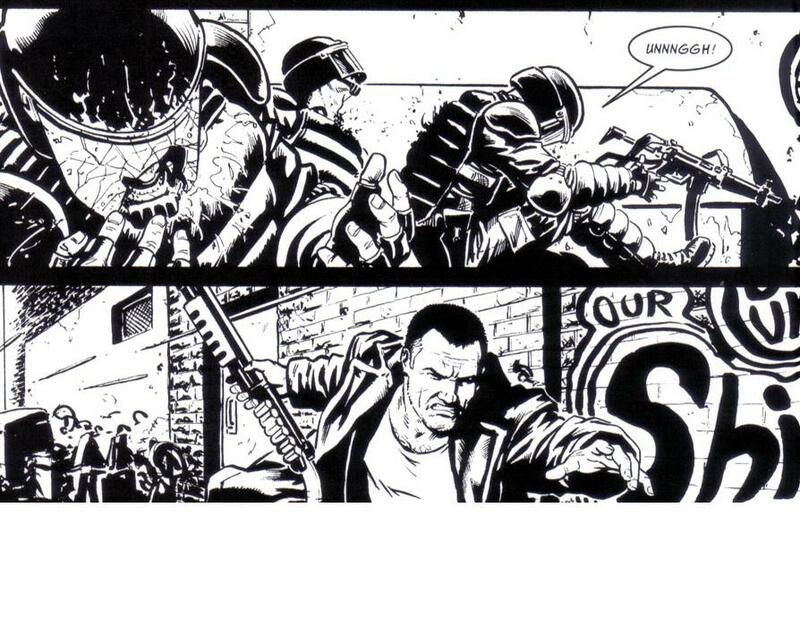 Also, ‘Savage’, which is a long-running sequel to the equally long running ‘Invasion’ from the very early days of 2000AD (it appeared in the first issue, and the test pressing ‘prog 0’). In an alternate future, the ‘Volgans’ (an analogue of the Cold War era Soviet Union) are occupying Great Britain and the rest of Europe, and Bill savage is the leader of the resistance. 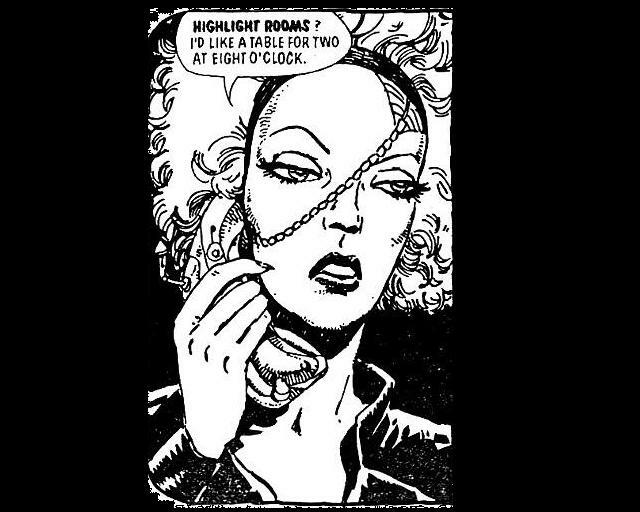 The strip, one of the few in black and white, is a tense, gritty affair that pays tribute to the early days of 2000ad (and by association, other IPC titles of the time such as Action and Battle) while having a distinctive modern feel – gone are the Invasion tics and tropes of ‘giving the Volgans what for’, replaced with more subtle power plays, intrigue and bursts of graphic violence. and the powerful ‘Backlash’, you have both humour and strong political allegories that are not ham fisted, and for me, were some of the main attractions to the character and his world. 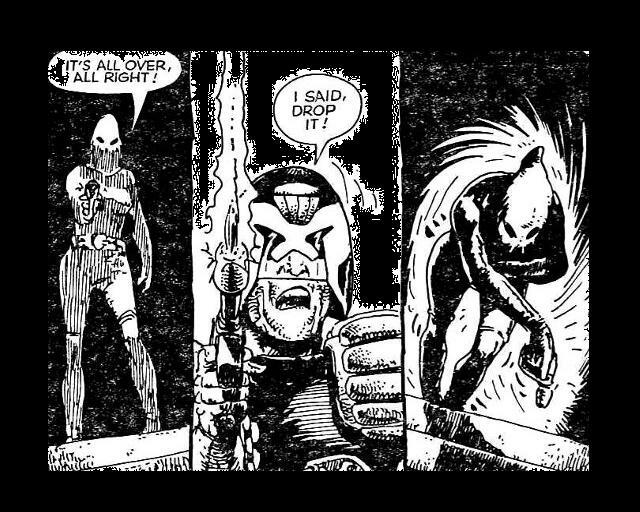 2000AD is getting something right – after the talent drain to the US in the 1980s and early 90’s that saw the likes of Alan Moore, Grant Morrison and Brian Bolland depart the title, the likes of John Smith and the (evergreen) Pat Mills prove that the UK’s longest running Science Fiction weekly is still providing the neccesary ‘Thrill Power’ to us Earthings. 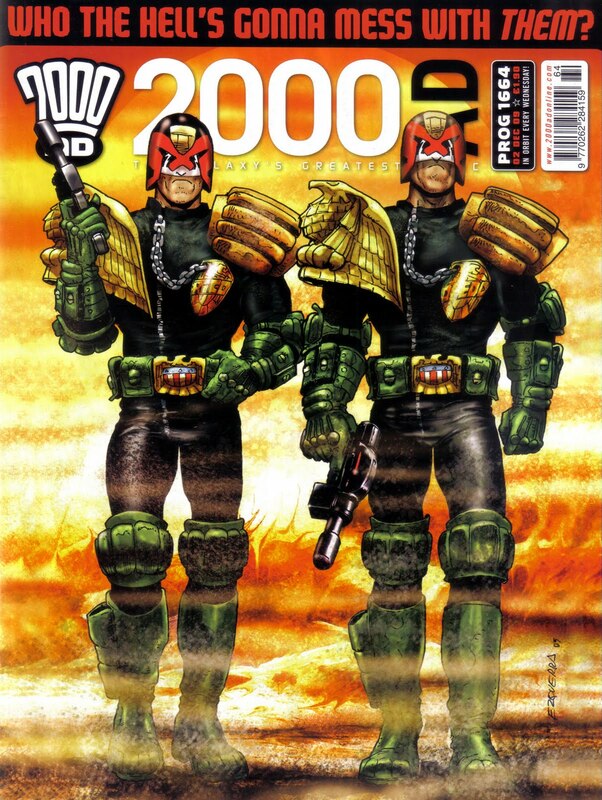 TWLB will keep you posted on 2000AD from now, with reviews and comment. 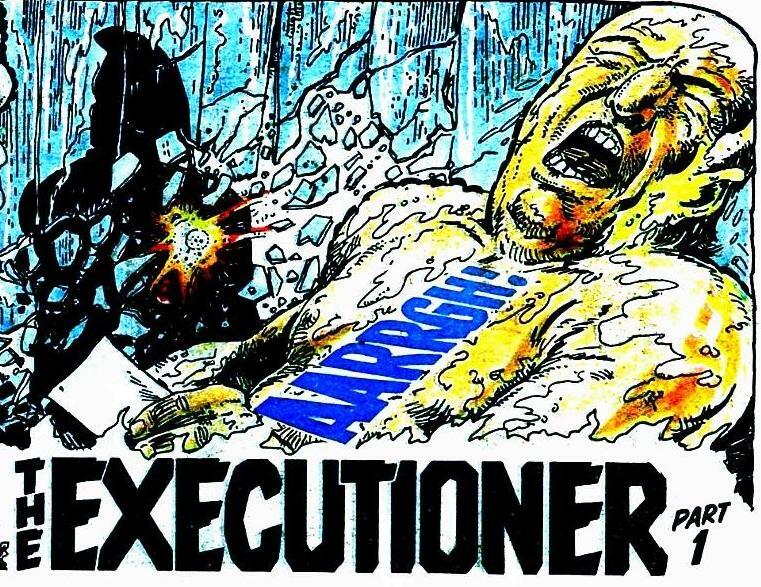 astonishing, and disgusting, that a tabloid newspaper (The Sun) will scream the headlines before a verdict, and when the outcome does not suit the newspapers agenda, steadfastly refuses to cover it. Well, reading Lews post will probably (HOPEFULLY) put a lot of people right on that. 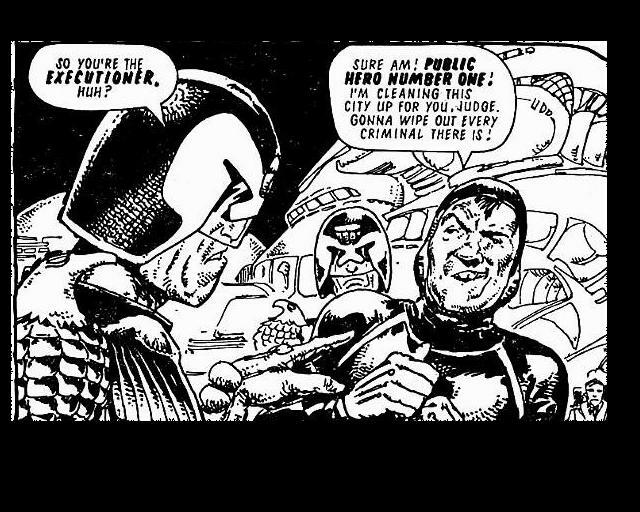 Ron Smith was one of the main Judge Dredd artists for both 2000ad and the newspaper strip that ran in the Daily Star, which is, incidentally, one of The Suns main tabloid rivals. 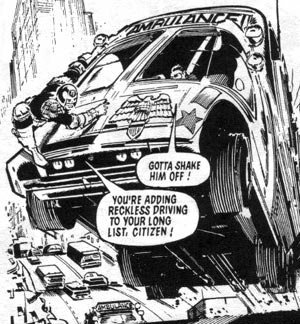 Dredd drawn by Carlos Ezquerra (not my favourite Dredd artist, that has to be the amazing Brian Bolland).